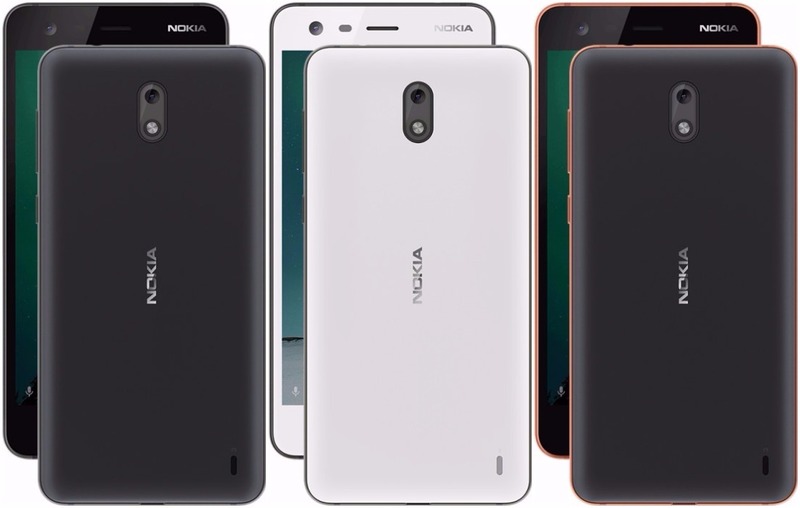 HMD Global is recently on a roll this, their recently new Nokia phones are the 3, 5, 6, 7, and 8. And today, they announced Nokia 2, the company’s latest low budget smartphone in India. It has a 5-inch HD display with Corning Gorilla Glass 3 protection and packs a 4100mAh battery that promises up to 2 days of battery life on a single charge.Beside battery life, the main promise here is HMD's commitment to "pure Android." That means a mostly stock interface with very teeny modifications and no bloat. Nokia uses its own Camera app and adds a couple of settings, but everything else is untouched. 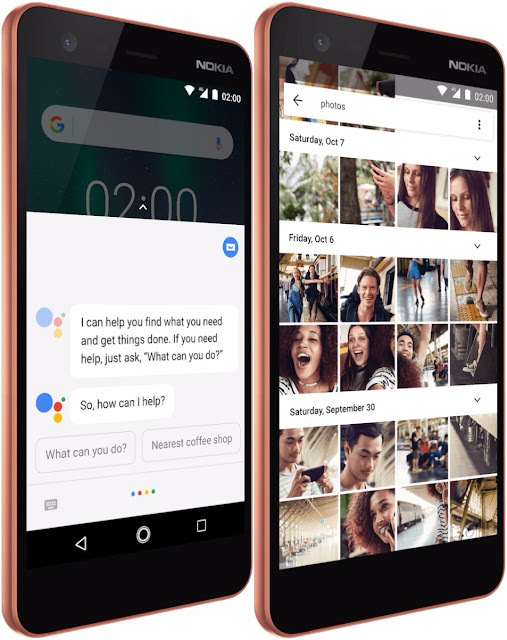 You get Launcher 3 with the bottom sliding app drawer and left side Google pane, Assistant, Google Photos, Contacts, Phone, Calendar, Wallpapers, and so on. Nokia also promises fast security updates for the Nokia 2, which it has been great at providing for the rest of its lineup so there's no reason to doubt that. 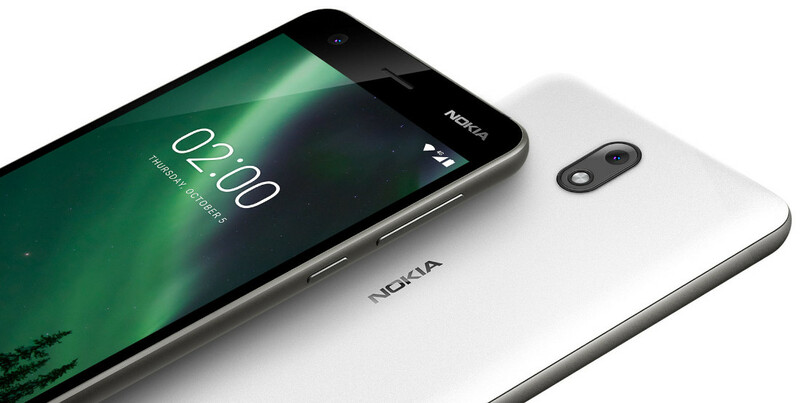 However, there's no word on whether Oreo would land for the Nokia 2 and if so when. It has a 6000 series aluminum frame and a polycarbonate back. It is also splash proof with IP52 ratings. It comes with dual SIM support with dedicated dual SIM and microSD slots and is also available in single SIM variant in some markets. 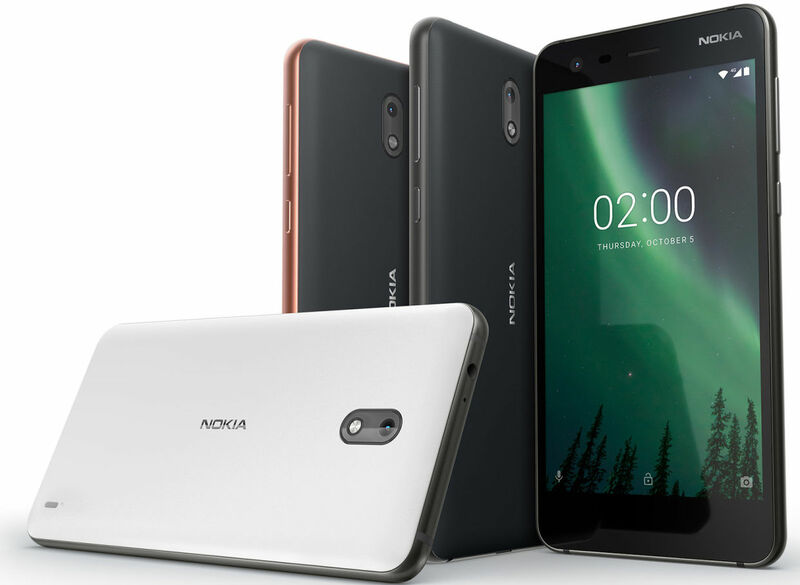 The Nokia 2 comes in Pewter Black, Pewter White and Copper Black colors and will go on sale from mid-November for a global average price of 99 Euros (US$ 115 / Rs. 7465 approx.). We should know the price of the phone in India closer to the launch.